Businesses like Lyft, Uber, and Airbnb have made sharing all the rage these days by creating a whole new “sharing economy.” For most people, the whole idea seems like a win-win: the sharer makes money and the customer gets a cheaper and more personal service than a taxi or hotel. However, with the new sharing economy comes new questions and situations to figure out, such as how does your homeowner’s insurance cover house sharing? 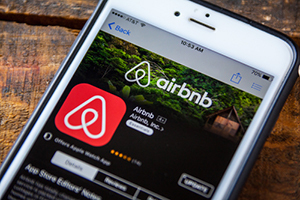 If you’re considering listing your house or bedrooms on Airbnb, it’s important to first take some time to figure out what this means in terms of your liabilities and insurance coverage. Luckily, we’re here to give you some insight into how to navigate your Omaha homeowners insurance in this new sharing economy. First things first: sharing doesn’t always mean the same thing in insurance. Most people don’t think about insurance when they think of the sharing economy because sharing relates to friends and relatives and people who aren’t a threat to your wellbeing and property. The reality, however, is that sharing does not mean sharing because there is an exchange of money in any of the sharing economy services. This means that in many cases your home insurance will view house sharing as renting which often means an entirely different set of rules and liability coverage. At this point in time, the law is not completely clear on how insurance works in this situation, so it’s important to be upfront and ask questions of your Omaha home insurance. This means it is a necessary to be aware of who you are sharing your home with. And it might be a good idea to have an agreement (drawn up by an attorney so it’s legally valid) requiring renters to provide proof of having their own homeowners or general liability insurance. A key difference in coverage for the regular sharer or renter, however, is that you might have some coverage for “landlord furnishings.” In insurance talk, this refers to limited coverage for items like appliances and carpeting in a section of the house that is regularly rented. Ultimately, the best way to understand how home sharing works with your Omaha home insurance is to contact your local, independent insurance agent. While we have tried to provide a general guide for home sharing and your home insurance, the reality of the home sharing is that it is new and complicated and therefore hard to predict exactly how your coverage will work for you. As your local, Omaha home insurance, it’s important to us that you have the best information and plan to protect you and your home. If you want to talk to someone about home sharing and homeowners insurance in Omaha, contact us today to get started.